The Tampa Bay Times is reporting that as many as 59 different law enforcement agencies will be assisting the Tampa Police Department in the Republican National Convention, this according to Tampa Chief Jane Castor. A mutual-aid agreement has been distributed to contributing agencies. 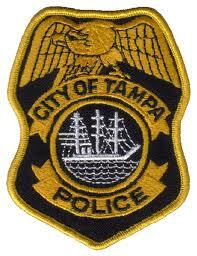 A total of $50 million was given to Tampa PD as a convention security grant. This money is being distributed for salaries, equipment, and training. A $10 million insurance policy will cover law enforcement claims from July 1 until after the clean-up of the convention. Most local agencies, including my own, are prepping for the event with staffing mandates and extra training. Though we are not directly participating in the RNC, our role will be to support neighboring departments who have contingents of delegates staying along the Gulf beaches. I was at Court today and heard two officers from an adjacent jurisdiction talking about their agency’s participation in the RNC. It seems as the time grows short, the convention is coming into the forefront of everyone’s discussions. I have been a bit skeptical about how seriously this event is being taken–in light of the officer safety concerns. This entry was posted in RNC and tagged Convention Security, Mutual-Aid Agreement, Republican National Convention, RNC, Tampa Police Department. Bookmark the permalink.